Song of a woodland full of Common True Katydids (scroll down for explanation and additional recordings!). 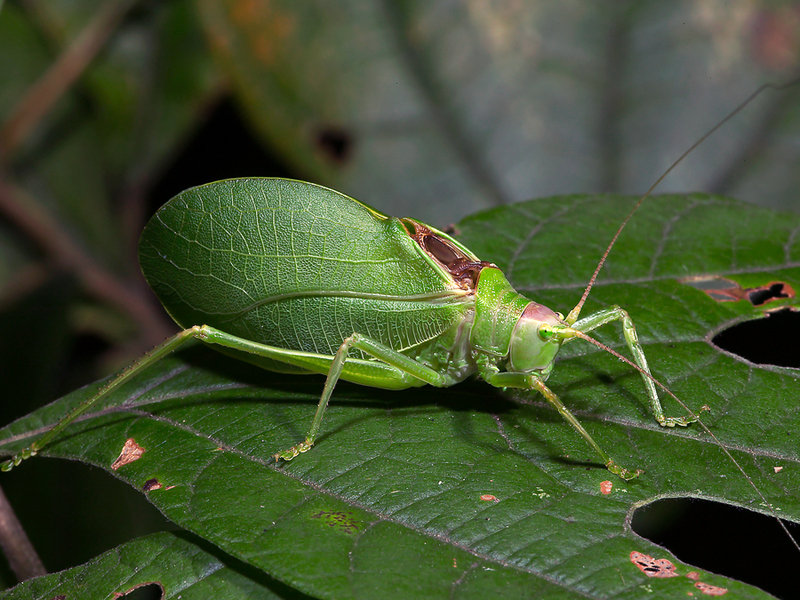 The only species in the genus Pterophylla, the Common True Katydid (formerly called Northern True Katydid) is the insect that everyone associates with the name “katydid.” This species is large, bright green, and bulky in appearance. Even though its forewings are large, the Common True Katydid is incapable of flight. The males have a dark brown stridulatory field. It is extremely difficult to capture these katydids because they are usually high up in trees, especially oaks, and they blend well with their surroundings. During the breeding season, however, they may sometimes be found walking across roads, moving in the direction of dense choruses. calls. Songs are composed of harsh broadband notes that are loudest at 3–5 kHz but that extend all the way to 20 kHz and beyond. Songs are given from dusk into the night, with males singing from perches high in deciduous or coniferous trees. They often form huge choruses, their combined songs drowning out nearly all other sounds. When there are many males in a location, each joins one or the other of two singing groups. Males within each group synchronize their songs while the two groups alternate their songs, thus creating a resounding pulsation of sound that can overwhelm the listener. The night choruses of katydids actually frightened early Pilgrims, who had never experienced such sounds. When temperatures drop, males sing more slowly, with songs taking on a creaking or groaning quality. There are three different populations or subspecies (indicated by different colors in the range map), each having a different calling pattern. 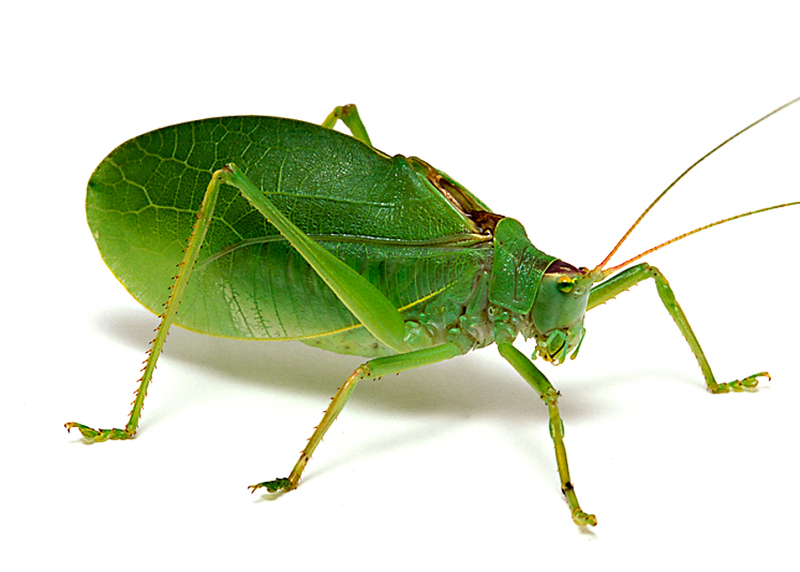 Across the northern half of the range, katydids sing songs usually comprised of 2–3 harsh pulses delivered at a leisurely rate: ch-ch . . . ch-ch-ch . . . ch-ch-ch . . . (often likened to the words ka-ty or ka-ty-did). In the southeastern portion of the range, songs are comprised of 3–5 pulses that are delivered more rapidly, making each song sound like a brief rattle. In the southwestern part of the range, individuals sing slowly, with only 1–2 pulses comprising each song. The sonagram below depicts songs from the northern population. Sonogram of a Common True Katydid singing at ~75F. © Wil Hershberger. Normally you rogaine sale women will not need to clean your inhaler during..